Any day that celebrates eating one of my favourite foods is always, without fail, written into my diary. Tomorrow is Pancake Day, one of my foodie highlights of the year so I thought I'd share with you some tips on where to enjoy the best pancakes in Newcastle on Pancake Day. If you don't fancy the stress of trying to master the all important pancake flip or arguing with your other half about what fillings to get then I suggest you head out to Newcastle this Pancake Day and let someone else do the hard work for you. Finding pancakes on a menu isn't always the easiest of tasks, but my tip is to take a look at breakfast and brunch menus across the city as that's where you'll usually find hidden pancakes. For those of us stuck at work tomorrow I've also managed to find a few places that will be serving pancakes at lunchtime or into the evening. You can't write a guide to the best pancakes in Newcastle on Pancake Day and not mention La Petite Creperie in Grainger Market! I predict queues around the block for these authentic French treats and they are definitely worth the wait. Serving savoury and sweet with a variety of fillings - make sure you fill your boots. 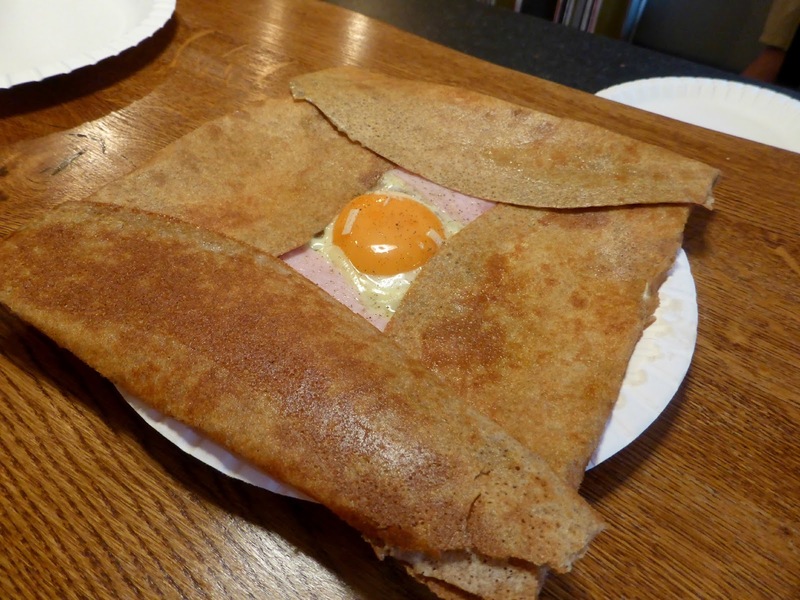 Howay the crepes! You'll find the newly opened Monsieur Crepe Cafe in Heaton, where traditional French crepes are cooked fresh while you wait. Offering sweet and savoury crepes, this is the perfect place to visit for a full on three course Pancake Day meal to remember. Breakfast is served all day every day at Delicious Decadence in Jesmond, meaning that you can get your Pancake Day feast at any time. 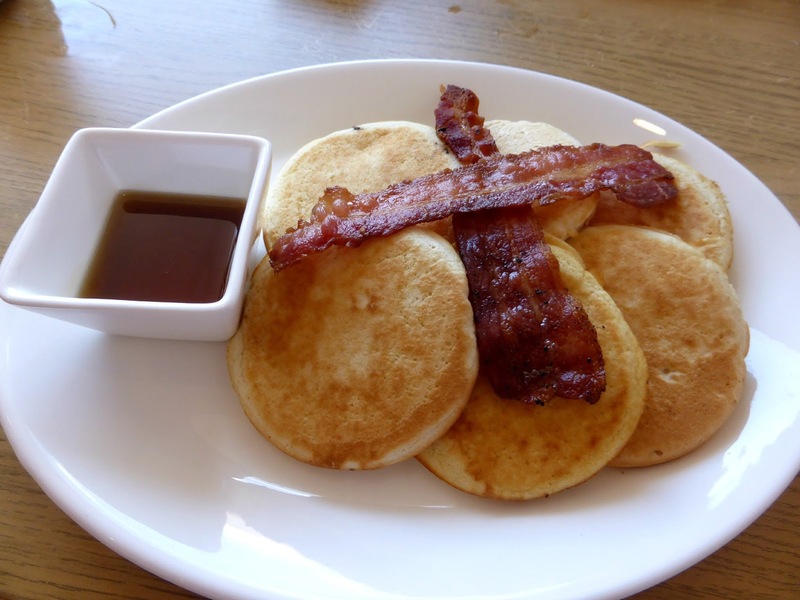 Choose between American pancakes served with warm Maple Syrup and streaky bacon (£4.95) or Smiley Face Pancakes (£3.95) and enjoy in the beautiful tea room. You'll find American style pancakes on the breakfast menu at Blakes, but as they're served until 2:00 pm you can also have a Pancake Day lunch to remember - served with bacon or fruit and maple syrup these beauties are far better than anything you can hope to make at home! The pancakes at Heaton Ingredient are well hidden but don't you worry I've found them for you! The Cinnamon Pancakes are part of the Pastries and Cake menu so available all day. On Pancake Day it is, of course, perfectly fine to have your lunch off the dessert menu - go for it! If, like me, you are on a bit of a healthy eating mission then fear not, I have a great Pancake Day alternative for you. Naked Deli in Gosforth and Heaton have clean pancakes on their menu and believe me they are delicious! You'll find Protein Bancakes (made with banana, whey protein and eggs) on the Main Menu and Buckwheat Pancakes on the Breakfast Menu. 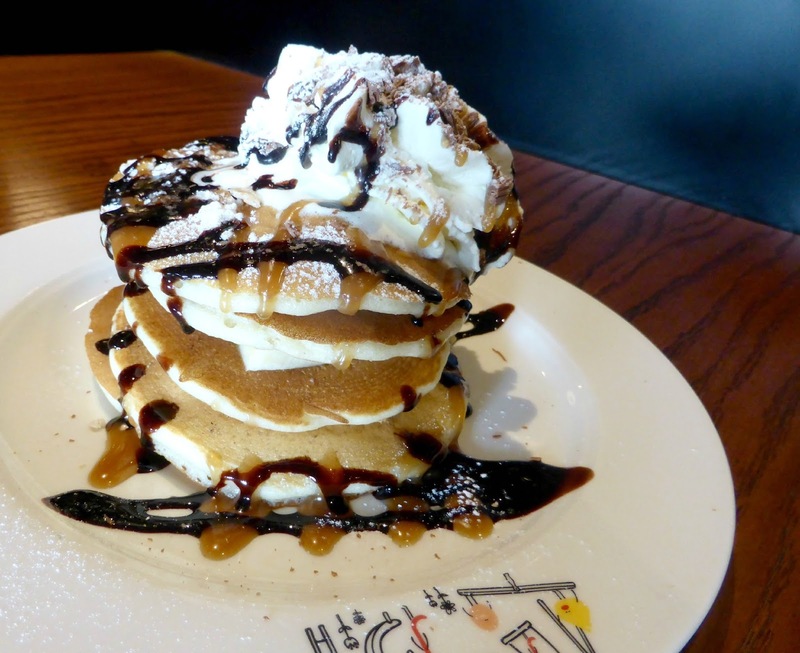 There are plenty of toppings available making it one of the best pancake menus in the Toon. At Jam Jar in Jesmond they love pancakes so much that they are putting on a Pancake Day eating challenge. 10 pancakes, 3 toppings in 10 minutes! If you fancy yourself a champion make sure you have a hungry tummy and be sure to send me some snaps of your pancake pile. The pancake menu at Long Play Cafe on the Newcastle Quayside offers three tempting choices of American Pancakes, Lumberjack Pancakes or Veggie Lumberjack - I recommend the Sultanas and Honey topping for a sweet start to your Pancake Day. The Butterfly Cabinet in Heaton is a very popular brunch spot so if you fancy a Pancake Day blow out make sure you get yourself there early to ensure a seat! There's a lovely pancake section of the Breakfast menu that offers plenty of choice including Triple Chocolate Pancakes (yes please!) and Apple Cinnamon Pancakes served with apricot jam and a jug of cream. 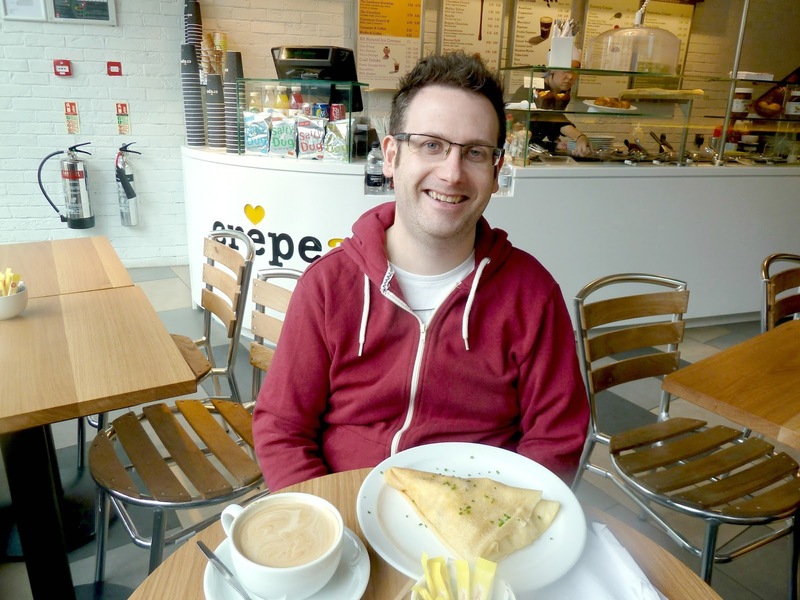 For those wanting to grab a quick pancake in the centre of Newcastle, Crepe Affaire in the new Grey's Quarter of Eldon Square is a pancake chain that has recently arrived in the Toon. Offering the largest menu of pancakes in Newcastle you can expect to find every topping you fancy. Perfect for those in a rush, the crepes are available to takeaway so grab one for the office and make your colleagues jealous! Let me know where you to love to enjoy pancakes in Newcastle on Pancake Day! Am I missing any gems? We had tears from Imogen last night as she asked for pancakes after I've just finished her sisters tea party at 7pm. Really couldn't be bothered and they had eaten sweets all night. Promised her pancakes at the weekend.